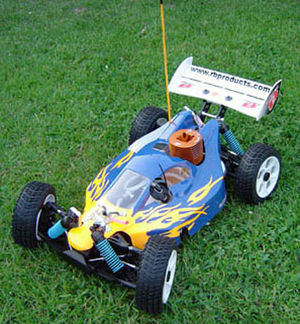 How did I start radio-controlled modelling? I happened very long time ago, I was a child when we received a remote-controlled car from relatives. It was a very nice BMW car modell, a silver colour CSL 3.0 racecar. Something like this, but silver. It was actually radio-controlled, on some FM frequency. Analogue, of course, so occasionally we could experience radio glitch even. We were kids, no idea about radio control. We were so worried of it that we only drove it indoors with my brother. Then we became older and for long time toy cars were not active part of our lifes. As I am a very complicated person it was impossible to just walk in a store and buy some car model. No, I have procedures. I like procedures. I even follow procedures. First I had to decide what vehicle shall I aim at. This is more important than you might think. I am renting a flat with my lady, we live on the 3rd floor in the city of Gothenburg and we don’t own a car yet. 3rd floor means that I need to think vertical sometimes, Gothenburg means that I am rather challenged from the weather point-of-view. Sweden has funny weather, there is summer here of course, but it can be rather short in some cases. No car means public transport, in my case Västtrafik. So I had to pick a vehicle that is suitable considering my boundary conditions. I hope that you are not bored yet, I will come to the main topic shortly. As I am not an easy person I had to add one more factor to the equation. That is challenge. What drives me more, what will provide more excitement, what will be a greater achievement in the end? The car is great fun, I know that. But it is comprimised in some ways. You drive it along the surface of the Earth in most cases. That means that you have 2 dimensions to take care of. Or if you allow me to say so: 2 axles. I don’t mean the axles of the car as a truck might have 3 or even more axles. I mean the controller axles. On a car you can give throttle and break/reverse on one axle and can steer on the second axle. This can be challenge if you drive against yourself for example. The steering is “reversed” in this case. If you turn right it will mean that the car will turn right according to its own coordinate system. You will percieve that it turned left, according to your own coordinate system. The car has some other issue as well. Transporting the car to some location that supports playing with it needs a real car, I don’t have that yet. So I dropped the car idea. The airplane came next. It is more exciting, a lot more. My grandfather was a pilot for instance (flew 29 type of airplane in total), he told me a lot of stories from WW II, I am really fond of flying and airplanes. However the same issue with transport is valid here, it is seldom that you can transport a model airplane in an IKEA plastic bag, commuting with it on public transport can be difficult. So I dropped airplane thread so far. What is even more difficult to fly? The helicopter! Now we are talking! The helicopter is amazingly difficult to fly, it provides me the necessary amount of challenge and it can be transported without any major investment. It can take off and land vertically, this means that I don’t need any special location to fly it. – which model to start with? – what do I need for it? – how can I learn to fly? I understood that there is 3 major type of model helicopters, if I am allowed to simplify a lot of factors. 1. 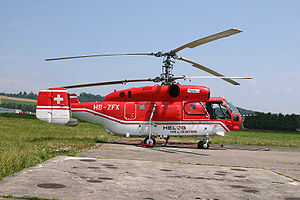 Coaxial helicopters. These are easy to fly, can be a good trainer. They are mostly for indoor use, cannot handle wind outdoors. They are good for beginning but get boring as you get intermediate level. 2. Fixed-pitch helicopters with tail rotor. These are great trainers, fly almost like the big ones. 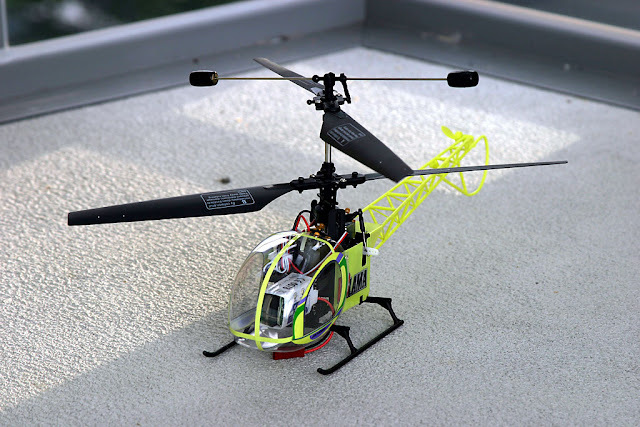 Can be flown outdoors, are easy to repair and maintain. They cannot fly inverted as the big ones, but almost no difference otherwise. If you look at a typical helicopter radio controller unit you can see that we are talking real business here. You can operate a lot of things. I actually knew that I am destined to fly these, I had the guiding light, I found the Holy Grail. I thought at least. More of that later. So I picked the category, I shall fly helicopters. I understood that it is not a good idea to start with the most difficult, so I went for a coaxial heli in first place. I picked a Lama, not any lama but a replica of the famous Aerospatiale SA 315B Lama helicopter. Mine looks more simple, is made of plastic and is lot smaller. I went for the E-Sky Lama v3 to be accurate, a 2.4 GHz range RC heli. It has rotor diameter of 340 mm and is a tough little bird. Exactly what I needed to begin with. 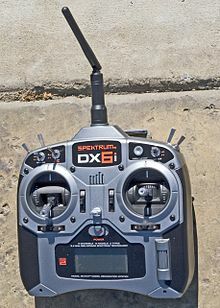 This happened in September 2009, that was the rebirth of my radio-controlled adventure. In short this is how I began. If all goes well you can read about the details in my coming posts.